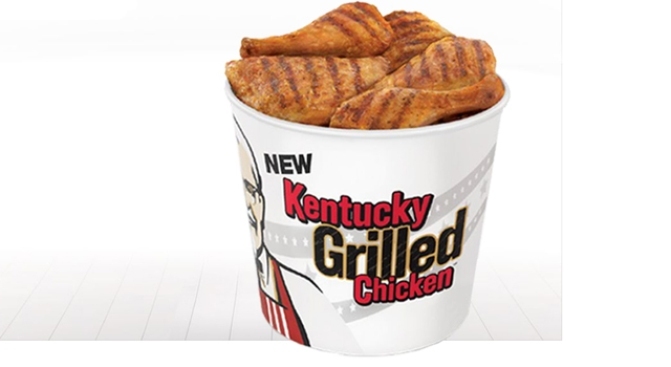 KFC hopes three’s a charm in their grilled chicken giveaway. On Monday, more than 5,000 KFCs will serve up the third round of free grilled chicken in six months, and this time the company promises to hand out food and not rainchecks. "We gear the shifts up so we make sure we've got the staffing, we make sure we've got the chicken," said KFC President Roger Eaton to the Associated Press. The first offer went well, but thousands of freebie seekers were left hungry during the last promo when the fast food chain was overwhelmed by a massive response, generated in part by plugs on Oprah Winfrey's television show and website. KFC executives hope the offer to promote Kentucky Grilled Chicken, which first debuted in April, will boost sales among health conscious consumers.